Introduce a bouquet of brilliant color into your day with the Keds® x Rifle Paper Co.™ Anchor Vintage Blossoms sneaker. Printed canvas upper with a vintage blossom print. Lace closure with five reinforced eyelets. 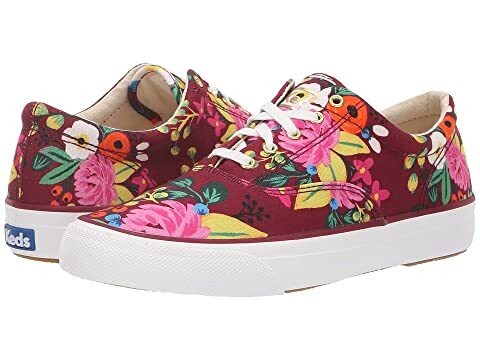 We can't currently find any similar items for the Anchor Vintage Blossoms by Keds x Rifle Paper Co.. Sorry!